Posted on February 4, 2019 February 12, 2019 by Tunes in T.O. This week’s playlist begins with Emily King. The GRAMMY®-nominated recording artist’s new album Scenery was released this past Friday, via ATO Records, and the early word is positive. The reason she’s first up, aside from “Can’t Hold Me” being a pretty solid lead-off song, is because she will actually be playing in Toronto TONIGHT (Feb. 4th – sorry if you are reading this too late). She’ll be at The Mod Club, and as of this morning tickets are still available at Rotate/Soundscapes. If you have no luck that way, I am sure there will be tickets at the door. Four days into the new year, Lizzo released “Juice”, the upbeat lead single to her newly announced album Cuz I Love You. The album will be released April 19th, and coincides with a spring tour that brings her to The Danforth Music Hall on May 16th. General ticket sales start this Friday, but if you pre-order the album you’ll get access to the ticket pre-sale. That starts at 10am TODAY, so get on it if you want to “beat the box office”. Natalie Prass recently came through town with a stop at The Danforth, opening for Kacey Musgraves. This past week, both announced that they’ll be back in Toronto by year’s end. Prass will now be headlining, and makes an appearance at The Horseshoe on April 14th, with tickets available at Soundscapes/Rotate for $14.50. Kacey, on the other hand with be playing the much larger (and seated) Sony Centre. General onsale is also this coming Friday, but there are a bunch of pre-sales happening, and coming up this week. If you happen to know any of those passwords, you’ll want to get to Ticketmaster and order those ASAP because this one’s likely to sell out quickly. Speaking of the Sony Centre, last summer I got the chance to photograph and see David Byrne. This was a big deal for me, as I am a big fan of Talking Heads. When I caught word of the setlists having a healthy mix of songs I’ve come to love, deciding to go was pretty much a no-brainer. I was especially excited to see my favourite Talking Heads song, “Born Under Punches (Heat Goes On)” was going to be played. What made the performance even more fantastic was that I version performed was closer to the amazing cover version Angelique Kidjo released early last year on her rendition of Talking Heads’ album Remain In Light. The reason I decided to include this cover this week (aside from it being one of my favourites) is because this coming Friday, Hot Docs Cinema will be continuing their “This Film Should be Played Loud” series with a screening of Stop Making Sense. The film features footage of Talking Heads’ four-night stand at Hollywood’s Pantages Theatre and is widely considered to be one of the best concert films ever made. The film is played at Hot Docs annually, and word is that there will be dancing in the aisles, so if you are a fan and have not seen it yet there could be much worse ways to spend your Friday night. Get your tickets HERE, and don’t forget for only an extra $5.31 you can get both a popcorn AND a beer. What a deal! If the name Nilüfer Yanya rings a bell, it’s likely because I mentioned in a previous playlist that she will be opening for Sharon Van Etten at The Danforth Music Hall next Monday. What you might not know is that she’s going to be releasing her debut album, called Miss Universe and it’s scheduled for release on March 22, via ATO Records. She has been tipped as an artist to watch by The Guardian, and the first single from the the album, “In Your Head”, definitely illustrates why. There are still tickets available for the show via Ticketmaster, so if seeing Sharon alone wasn’t reason enough to pick up the tickets, there you go. The last year and a half has been busy for Phoebe Bridgers. After releasing Stranger in the Alps in the autumn of 2017, and working with Lucy Dacus and Julien Baker last year to release and tour the boygenius EP, she somehow managed to fit in some time to record and release an album with Conor Oberst. The duo call themselves Better Oblivion Community Center and they surprise released their self-titled album digitally last week, with a physical release coming Feb. 22nd, via Dead Oceans. A U.S. tour has been announced, with no dates north of the border but hopefully we’ll see a second leg after their tour ends in May. Brooklyn’s Teen Body released the first single “Validation” from their upcoming album Dreamo, which will be released April 12th, via Broken Circles Records. The album is their eight-track follow-up to their 2016 debut Get Home Safe and marks a step forward for the band. As of right now they only have the album release show scheduled, but I’ll be sure to update if the band announce a tour. And now for a band that has announced a tour. 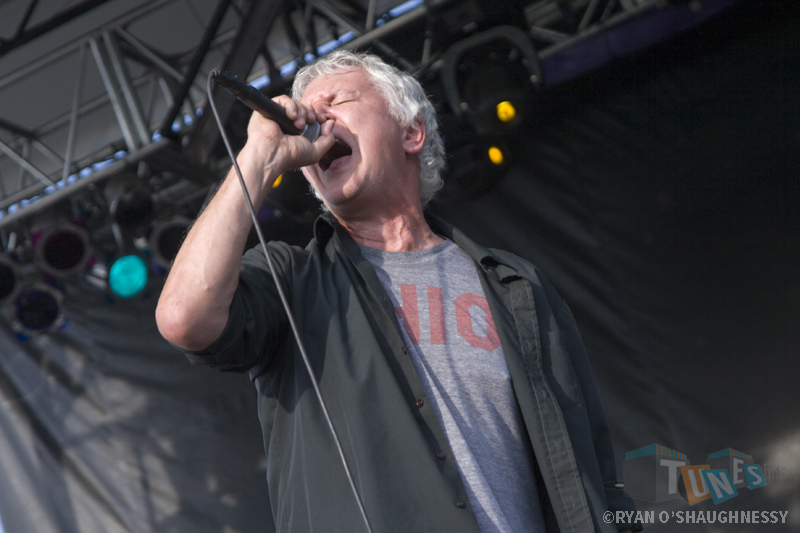 After years of not coming to play club shows in Canada, Guided By Voices have made good on their promise that “the club is open” by announcing a return date at Lee’s Palace for July 13th (tickets available at Rotate/Soundscapes). That show will mark their second appearance at Lee’s in eight months, having played an epic two-and-a-half hour show there in October. They’ll also have a full album’s worth of new material, as they just released their new album Zeppelin Over China this past Friday. According to their website, they’ve also got two more albums coming out this year with 2 other albums, Warp and Woof & Rise of The Ants, listed on their discography page, so if you don’t get tickets for the show in July, it probably won’t be long before you get another chance. Guided By Voices @ Pitchfork 2011. Shot for original Tunes in T.O. February 1st saw the release of a few new albums, but also marked the 25th anniversary of Green Day‘s Dookie. In honour of the anniversary, I decided to include the song that introduced me to them in ninth grade, “Longview”. No tour dates announced at the moment, but could we perhaps see a 25th anniversary tour? Guess we’ll have to keep an eye out for that. HÆLOS has announced they will be releasing their sophomore effort, Any Random Kindness, on May 10th via Infectious. Along with the album comes a spring tour that includes a stop at The Garrison on March 30th. Tickets can be purchased at Soundscapes/Rotate for $15 + fees. The Strumbellas have been riding high for the last couple of years on the success of their 2016-released album Hope and it appears as though they are ready to follow that up with a new album. Rattlesnake is due for release on March 29th, via eOne Music. They’ve got a U.S. tour plotted out at the moment, ending June 14th, so I would expect we see a Canadian tour sometime this summer in support of the new album. 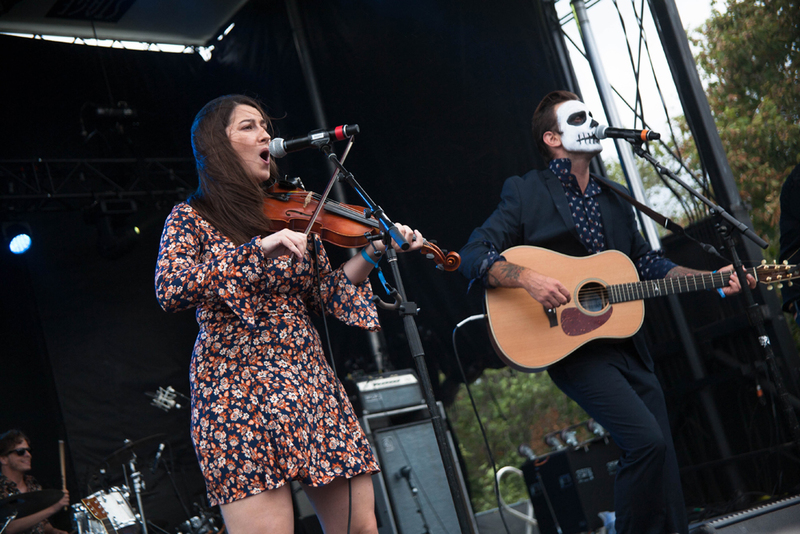 Photo of The Strumbellas when they played the 2nd of two consecutive years at TURF. Shot for the festival. SACRED PAWS just signed a deal with Merge Records last week, and to commemorate they have released their new single “Brush Your Hair”. There is no mention of a new album quite yet, but they do expect to be announcing a tour in the spring so if you like what you hear, keep an eye out for that. ShadowParty released a new Marigold EP, which features a single edit, live version and Daybreakers remix of the track. The track is originally taken from their self-titled 2018 debut, released on Mute Records. Molly Sarlé may be known as being one of the three vocalists from American folk trio Mountain Man, or maybe even as a member of Feist‘s touring band, but now she’s taking the center stage with a release of her own on the way. The first single “Human” is a warm, jangly song and Sarlé’s vocals make you feel like you’ve been put in a trance that you won’t want to come out of. Produced by Sam Evian, it’s a promising debut to be sure. Her debut EP will be released sometime this year, via Partisan Records and I am very eagerly awaiting to hear what’s next. Also releasing her debut album at some point this year is Claude Fontaine. The Los Angeles-based songwriter and singer released her debut single “Cry for Another” last week and announced she will be releasing her album later this year via Innovative Leisure. The album promises to be “a love song to classic reggae and Brazilian music, and an album honoring that feeling of finding a home away from home.” Expect announcement of a release date later this year. Finishing off this week, Ólafur Arnalds will be at Roy Thomson Hall this Friday, performing songs from his stellar 2018 album re:member. There are still seats available, and they can be purchased online HERE.